A pensioner from Cardiff who devoted the past 18 years to supporting local people affected by brain injury has been shortlisted for a national award. Pauline Watson, 77, is one of just three people from across the UK who will be named a national finalist by Headway – the brain injury association, for the Stephen McAleese Outstanding Contribution to Headway Award. The nomination recognises Pauline’s dedication to assisting brain injury survivors in their recovery for nearly two decades for the charity’s Headway Cardiff and South East Wales group – which as well as covering Cardiff, it has service users from Newport, Bridgend, Penarth and Barry. Pauline said she was delighted to be shortlisted for the award, which is sponsored by No5 Chambers. “I didn’t realise at the time how enjoyable it would be to volunteer, I thought it would be emotionally fraught and dealing with problems. Pauline, who is a former English teacher, helped the charity set up its fundraising group and was trustee, but said the most fulfilling moments spent at the charity were when she got to spend some quality time speaking to service users. She said: “Simply providing people the chance to be listened to can have a massive impact and can really help them feel better. Brain injury survivor Dave Hampson suffered an aneurism in 2010 and now suffers from balance and cognitive issues. 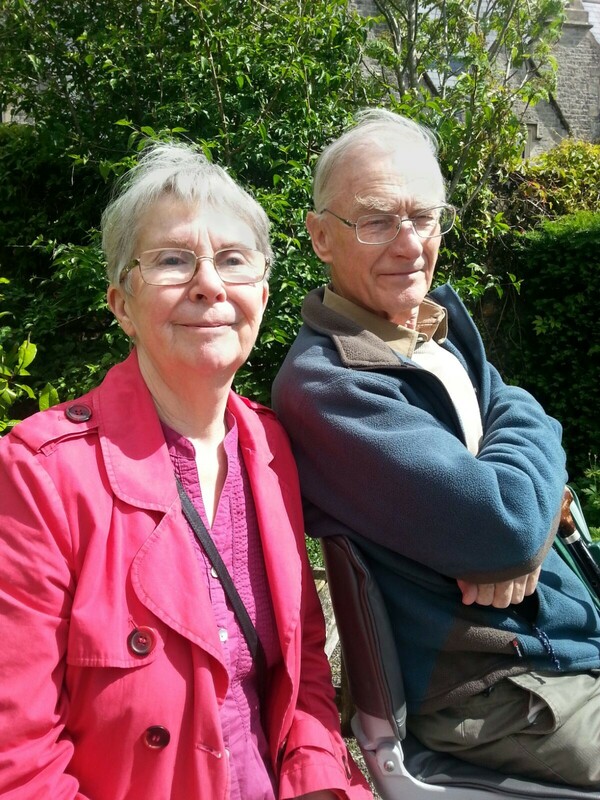 He said Pauline has been a constant source of support for him and his wife as they come to terms with his life after brain injury. He said: “Headway Cardiff & SE Wales is so important to me, as my social circle and working life was destroyed after having my aneurism. “Pauline has always been there for me. She’s the one who got me reading, I never read pre aneurism, but she knows her books inside out and back to front and she really encouraged me. “She’s always got a coffee ready for me every Friday when I come in and she is always there for you. Pauline was nominated by Headway Cardiff’s Chief Executive Rebecca Pearce. She said: “Pauline’s commitment to our charity is remarkable, 18 years of service, almost a lifetime’s work – and all for free! “The outstanding skills she first brought to us when she joined us as a volunteer have only developed and deepened. Rebecca paid tribute to Pauline’s help in turning the charity from its humble beginnings to the vital service it is today. She said: “When Pauline joined us, we were tiny. She has been a constant despite her own health challenges and without her help we wouldn’t have been able to develop the services we have. “We know that at some point she will step back and we don’t know what we will do without her. “We can never thank her enough, so we are thrilled that her outstanding contribution has been nationally recognised. Each year, Headway Annual Awards celebrates the exceptional efforts of survivors of brain injury and their carers. Pauline will discover if she is to be named Volunteer of the Year at a glittering ceremony at The Dorchester Hotel, in London, on Friday, 8 December.